Perhaps in response to growing criticism about the CEO's rising pay at a time when the company is downsizing and letting people go left and right, on Wednesday Ford announced that its plans to spend $900 million and hire about 900 workers to build electric and self-driving vehicles in Michigan, while moving production of a small commercial van to Mexico from Europe. The new facility, scheduled to open in the next two years, will take new commercial-grade hybrid models and incorporate the self-driving technology needed to turn them into autonomous vehicles according to CNBC. Ford is still considering where to build the AV finishing center and has not said how many people will work there. "This facility will be about more than just putting the brains into these autonomous vehicles," Joe Hinrichs, Ford's president of global operations, told CNBC. "We will use the AV production center to upgrade the interiors and add the technology customers will want for a particular self-driving model." Roughly a year and a half after shifting production of a future electric sport utility vehicle to Mexico from Flat Rock, Michigan, Ford says it will now build additional battery-powered models and add a second shift of workers at the Michigan factory by 2023, at a cost of $850 million. The automaker also is spending $50 million to establish a facility near Detroit where workers will add the self-driving software to autonomous vehicles that will be built at Flat Rock. The factory will continue to produce the Mustang sports car and Lincoln Continental sedan. As part of Ford's Michigan expansion, the company plans to add a second shift in 2023 at the company's final assembly plant in Flat Rock, Michigan to build an all-electric vehicle the company has yet to announce. That 2023 model is part of Ford's plan increase sales of electric vehicles, including a brand new electric SUV scheduled to roll out next year. It will be built at a Ford plant in Mexico. Ford is also shifting production of its Transit Connect compact commercial van from Turkey to Hermosillo, Mexico, where it will be built in the same factory now producing the Fusion sedan. Hinrichs said he doesn’t expect the move to have any impact on the U.S. Customs case against Ford for “tariff engineering” the way it imported the Transit Connect from Turkey. The moves, announced the same day Donald Trump visits an Ohio tank plant, were announced strategically right after Trump's latest sharp criticism of rival General Motors for ceasing production at a factory in Lordstown, Ohio. And, as Bloomberg notes, Ford is reiterating some previous financial and employment commitments, while changing gears for the third time on building electric vehicles at an underutilized factory south of Detroit. In a world where EV hype is all the rage, Ford's development of autonomous and electric vehicles is at the core of CEO Jim Hackett's plan to remake the automaker. 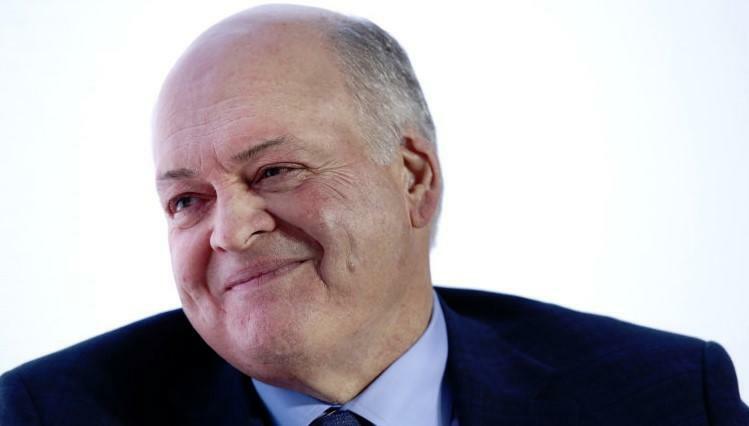 Since taking over as CEO in 2017, Hackett has been criticized by analysts for moving too slow to reposition Ford as the auto industry shifts to new technology and focuses more attention on electric vehicles, according to CNBC. Earlier this year, Ford announced a partnership with Volkswagen to share the costs of develop AVs and EVs. Hinrichs said Ford had informed U.S. and Michigan government officials about the investments, but he declined to directly address Trump’s recent criticisms of GM. “We’re just proud of our presence here in the U.S.,” Hinrichs said, nervously checking Trump's twitter account every five minutes to see if the president's GM wrath will fall upon his company next.